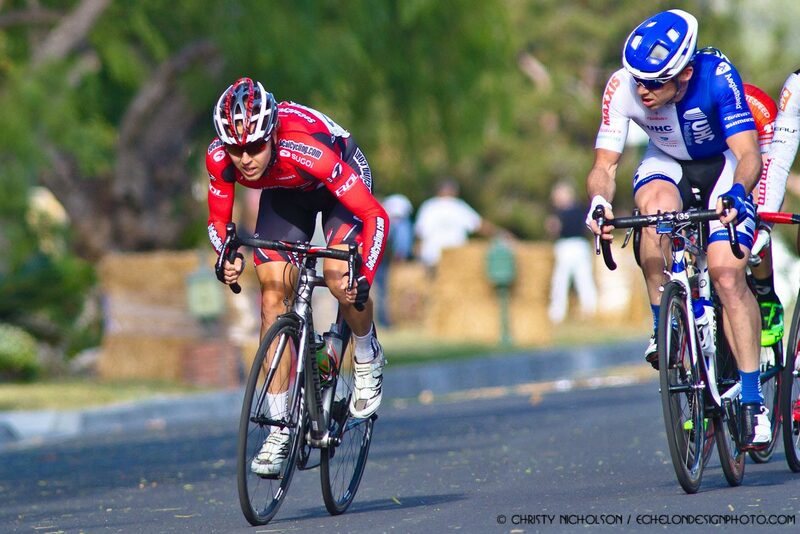 There is a small place in my heart for The Barrio Logan Grand Prix when it comes to racing Criteriums in the US. I believe it to be the combination of the proximity to where I live (I get to ride my bike to and from the race, as it should be! ), the fast and technical nature of the course with comparative value to the likes of ToAD/North Star/Tulsa Tough, and finally the potential of earning some tortillas if you should place on the podium. For no good reason, the field was relatively small and KHS was the only team with a strong representation. My SoCalCycling.com Team teammate, Quinten Kirby, and I set out to follow as many “good moves & attacks” as we could, hoping to find ourselves in the winning break. We knew KHS was the team to follow, but with the ratio of 5:2-KHS:SoCalCycling.com Team, he and I could only follow a limited number of attacks. With the strong persistent winds, eight turns, choppy pavement, and a back-half of a course that is mainly slanted upwards, we knew that a break would stick today. After nearly thirty to forty minutes, the attacks began to put the pressure on the peloton, with Chris Barton from KHS getting off the front solo. Even though we knew this was dangerous in and of itself, since Chris is a former Giro competitor for BMC as well as one of the best time trialist’s in the country; We were unable to respond to the bridging effort by his teammate Brian McCulloch, joining Barton and a junior from the Rockform Devo team. After several laps, the breakaway was between 20-30 seconds up the road. Finally the elastic snapped, and the break was gone for good, leaving fifty other riders to sprint for 4th place. Quinten Kirby finished 7th on the day, with Chris Barton taking the win and his teammate Brian McCulloch finishing second. Sadly no free tortillas for us, but I can assure you that we got our Mexican food fix with the great local fare offered in the heart of the Barrio. I like this race, this neighborhood, and the time spent racing close to home with a good friend and teammate in Quinten. Until next year, the quest for tortillas shall continue.